Craftin' Caro: Presenting MDS Mondays! 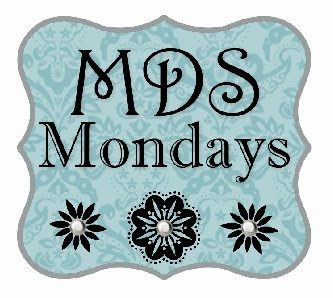 I'm so excited to introduce... MDS Mondays! MDS stands for My Digital Studio, Stampin' Up! 's new crafting software. I've been featuring digital cards and layouts for the past month and a half, and have had so many requests from blog readers for more! That means that you can expect to see more examples, tricks and how-to's from me on a weekly basis. Okay.. on to today's example! 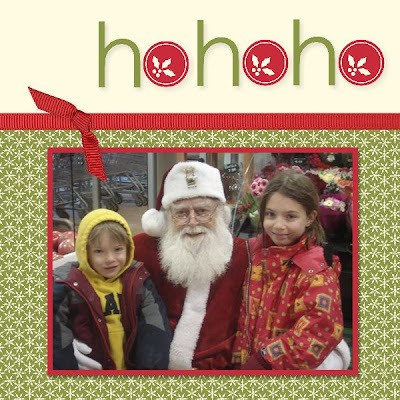 I wanted to create a sample Holiday Photo card, where I could take a picture of the kids and incorporate it into the design. For this, I started off with one of the pre-designed 6x6 card layouts from the "Christmas Jingle" Scrappin' Kit (included in the software). 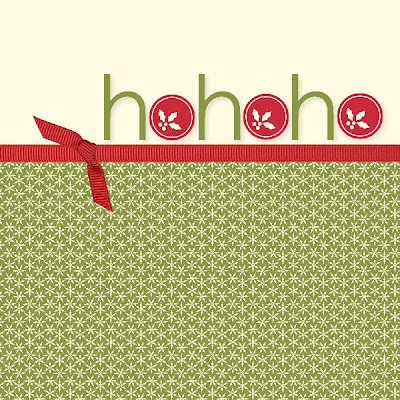 Because I knew that I'd require more room along the bottom green Designer paper area for the photo, I simply moved up the "ho ho ho" elements, the paper and ribbons. This left me plenty of space to drag on an old picture I had of the kids with Santa, create a mat effect with the matching Real Red and VOILA... all done! Be sure to leave me a comment or request if there's anything special you'd like me to show you! Caroline I love the card. Question - can you print it as card from your own printer or are you sending it to be done through the SU printing service. I wanted to do a couple of quick cards, and can't get them to print properly.